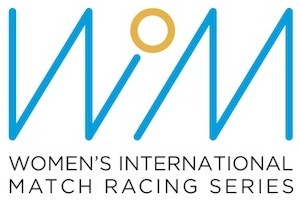 After three fantastic days of racing on the eastern shores of Lidingö in the Stockholm Archipelago we conclude the Swedish Women’s Championships in Match Racing. 8 teams competed in the event, hosted by QSS and AtSea Events. After a dramatic final day with varying weather and wind conditions it was Gothenburg’s Johanna Bergqvist and her Team Bergqvist Match Racing who stood at the top of the podium. Bergqvist beat local skipper Sanna Häger and her Stockholm Match Racing Team, 3-1 in the final. In the petit final Linnea Floser of Peregrine Racing took the final podium spot as she beat Helena Nielsen, Team Nielsen, 3-1. On behalf of all the sailors we would like to thank all volunteers, umpires and sponsors who made this event possible and ensured we were well fed and caffeinated!